Similarly, Sen. Susan Collins, the Maine Republican who is up for re-election in 2020 and did not back Trump in 2016, would not say earlier this year if she would support Trump’s bid for a second term. And on Tuesday, a spokesperson did not respond to multiple inquiries seeking comment about her view on Weld’s primary bid. Other GOP senators, too, who have sparred with Trump in the past were mum when asked by CNN on Tuesday about Weld’s new campaign, including Sen. Ben Sasse of Nebraska, whose spokesman didn’t respond to multiple emails about whether his boss is open to Weld. Several other Republicans, like Sen. Joni Ernst, did not respond to an inquiry on Weld’s candidacy, though the Iowa Republican has said previously she planned to back Trump. Two of the more vulnerable Senate Republicans up in 2020 also were quiet on Tuesday. A spokesperson for Sen. Thom Tillis, the North Carolina Republican, did not respond to multiple requests for comment about Weld’s candidacy, while Arizona Sen. Martha McSally, who faces a difficult election bid in 2020, declined to comment through a spokesperson. And Sen. Lisa Murkowski, an Alaska Republican who has periodically broken with Trump on key votes, was not available for comment due to her travel schedule, according to a spokesperson. Not all Republicans were quiet about Weld. One of the most vulnerable Republicans, Cory Gardner of Colorado, had said previously he backed Trump for president, and on Tuesday a Gardner spokesperson noted that the senator is still backing the President. “That’s who he is supporting,” said Gardner spokesperson Casey Contres, referring to Trump. Trump has been effectively running for a second term since coming into office in January 2017, quickly declaring himself as a candidate and raising tons of money to prepare for a bruising reelection campaign. But for the better part of the last two years, a number of House and Senate Republicans have sidestepped questions about whether they’d support him. While most Republicans will ultimately fall in line, the hesitance underscores the unusual relationship between Trump and his party. Typically, senators quickly back the sitting president of their party. But the polarizing nature of Trump’s presidency, and the swirl of controversies consuming the White House, often put his party in a tough spot. And they’re often silent when asked about Trump for fear of angering his loyal supporters. It is doubtful Senate Republicans will openly embrace Weld’s long-shot candidacy, but he’s billing himself as a candidate with crossover appeal. 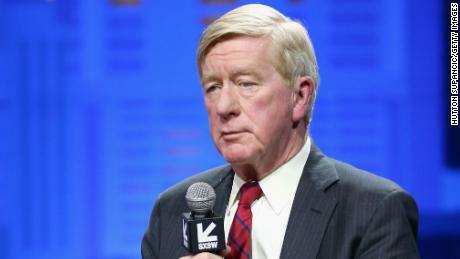 “I really think if we have six more years of the same stuff we’ve had out of the White House the last two years, that would be a political tragedy and I would fear for the Republic,” Weld told CNN’s Jake Tapper on Monday when he declared his candidacy. « FBI failed to provide details on contact with Clinton campaign lawyer: Judicial Watch	» Could Bill Weld cost Trump the election?